Come and cool off on the banks of the River Arly. The “Arly Beach” is an ideal spot to relax and dip your feet in the water! Artificial lakes: There is a very pretty artificial lake in Flumet (4 km). Passy has a bigger one (20 km) where windsurfing and canoeing are also possible. 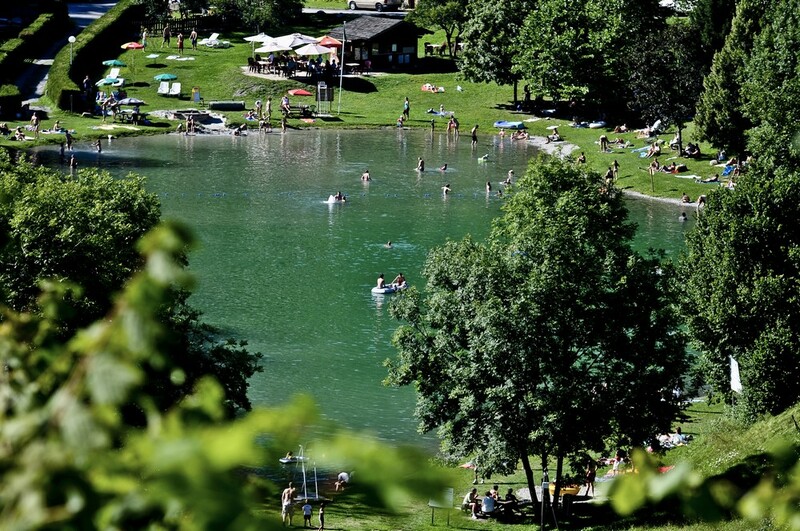 Finally, in Combloux (9km) there is a biotope artificial lake with fitness centre. Swimming Pool: The Palais des Sports in Megève has indoor and outdoor aqua play areas. 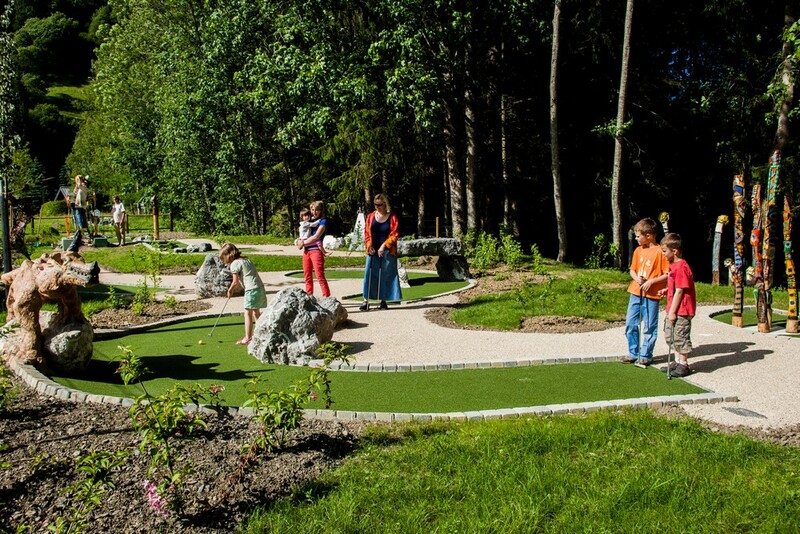 The Belles Leisure Park has an 18-hole landscaped mini-golf and 20 original works of art. Come and discover the cycling rabbit, the Swiss Dahu, the black and white cow, the man of the mountain tops, etc. From 20/04 to 10/06/15: Every Wednesday, Saturday and Sunday from 10.00 to 20.00. From 11/06 to 31/10/15: Open daily from 10.00 to 20.00.